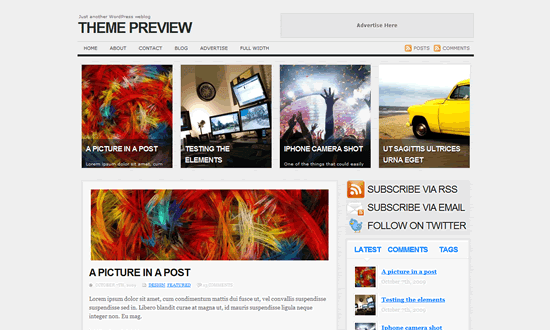 Download NewsPress Theme is another free premium wordpress themes. Developed by Akosipau talent and published on WP Crunchy, NewsPress has everything a pro with its theme features drop-down menus and other sharing buttons. NewsPress is freely available from the website Crunchy WP. Feel free to check out the demo site before installation.